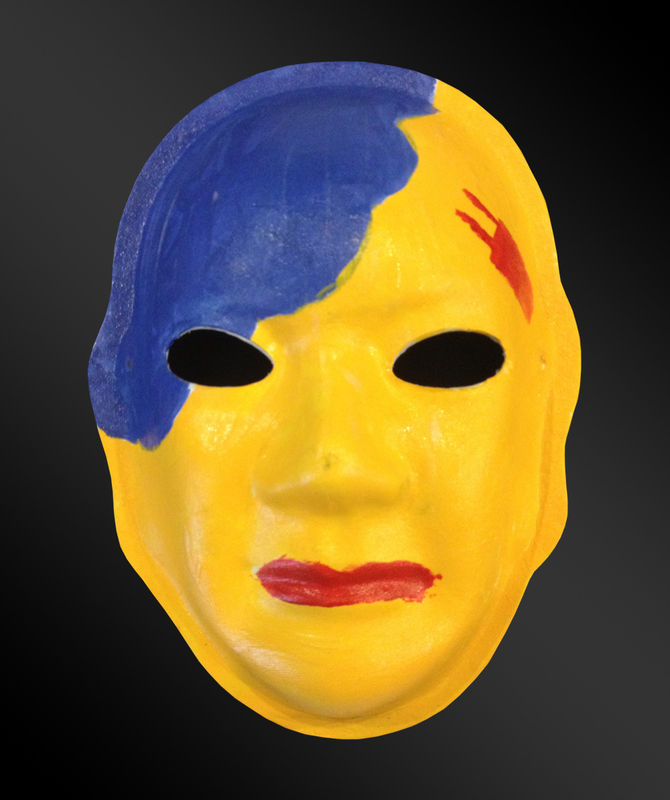 Explanation of Mask: The blue part represents the sadness I feel because of my injury. It makes me feel sad and even less significant than others that I’m 25 years old and haven’t even finished ½ of college. The blue also represents the water on the beach. The yellow is the sand and red at the top is the lounge chair that I will sit in and tan!